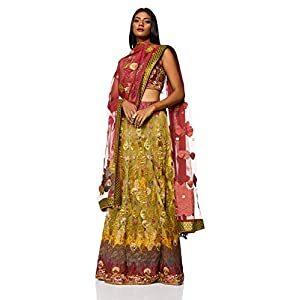 COMPOSITION: Banarasi silk, net, raw silk. 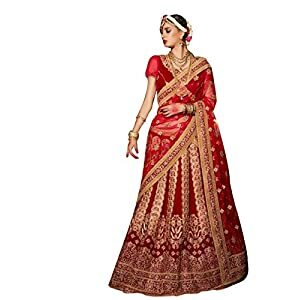 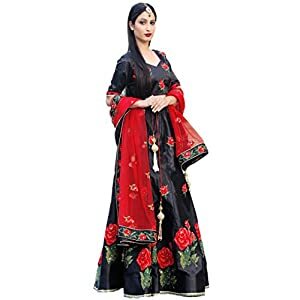 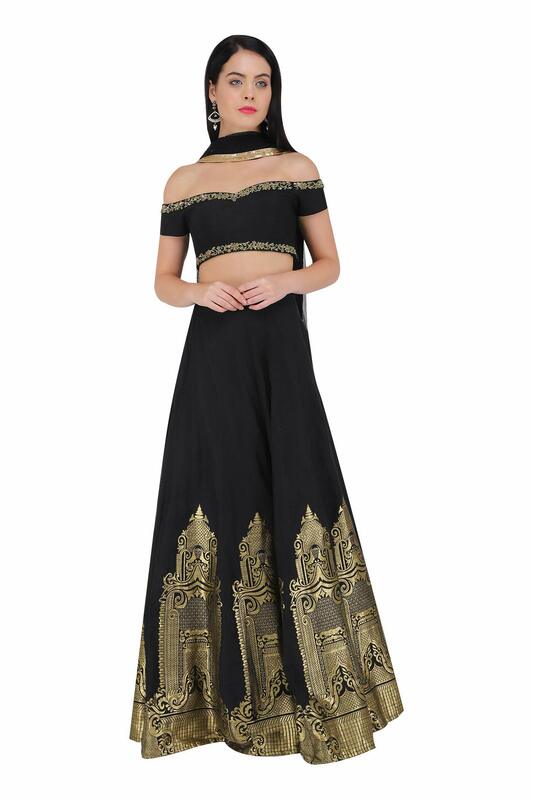 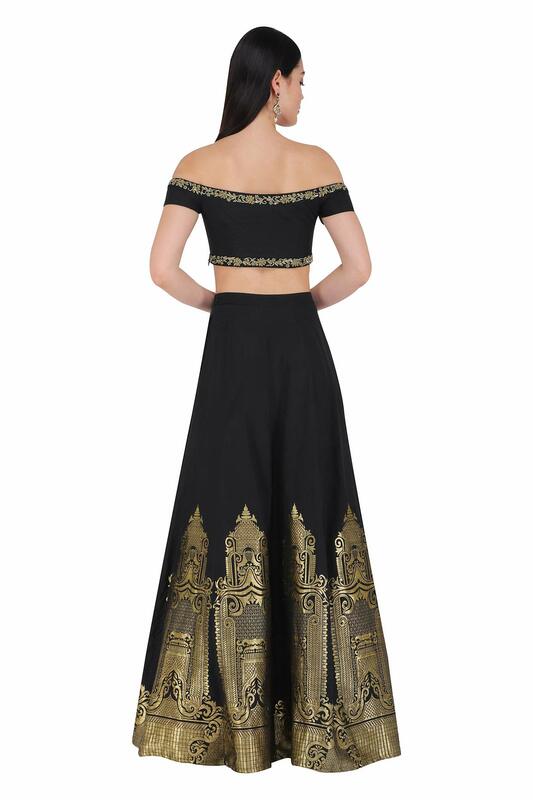 This set includes a black banarasi silk lehenga with mughal impressed motifs at the hem and is derived at the side of matching raw silk off shoulder shirt adorned with beads at the neckline at the side of web sequins embroidered dupatta with golden border. 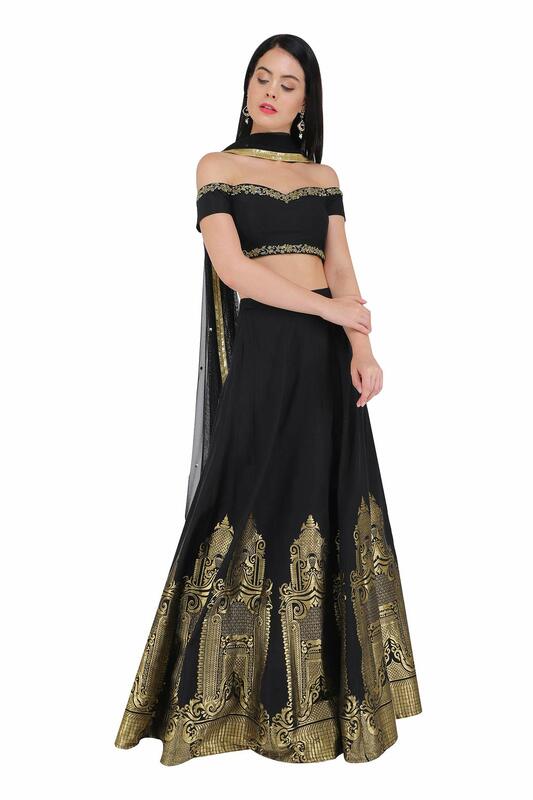 COMPOSITION: Banarasi silk, web, raw silk.